The October is slowly coming to an end, thus Halloween is getting nearer and nearer. This year we have put together a very thrilling Double Feature with a subsequent Party in cooperation with COLA TAXI OKAY. It’s getting started on Monday, the 31th October, at 7pm presenting the vampire movie “A girl walks home alone at night” in Farsi (Persian) with German subtitles. This visual and musical stunning piece of work by Ana Lily Amirpour subsists on the two main characters – the totally chilled female vampire covered by a black chador and one male ordinary mortal, who is still fighting not to be affected by the criminal minds of his hometown Bad City. Absolutely worth seeing! Following at 9.15pm the New Zealand movie “What we do in the shadows” is shown on the screen. This mockumentary describes in a very funny way the life of a Vampire flat-sharing community. The typical discussions in such a community about cleaning up or washing the dishes can be experienced from a totally different view. At 10pm COLA TAXI OKAY is opening its doors in the Kulturkaiserpassage 11 room 6 for the final CATS OVER BATS Halloweenparty. The place is located near the movie theater Kurbel, only two minutes walking distance away. All the people, who can present an admission ticket for one of the above mentioned movies, will get one welcome drink for free. There will be some interesting Balkan Beats music and several different choices of beverages. Our next movie on October 13, 7pm will be the Serbian comedy “Parada” about the first Gay Pride Parade in Belgrad. The story is told from the point of view of Limun, a first class macho and homophobe who needs to go a long way to understand and respect…this movie will be shown with German subtitles. 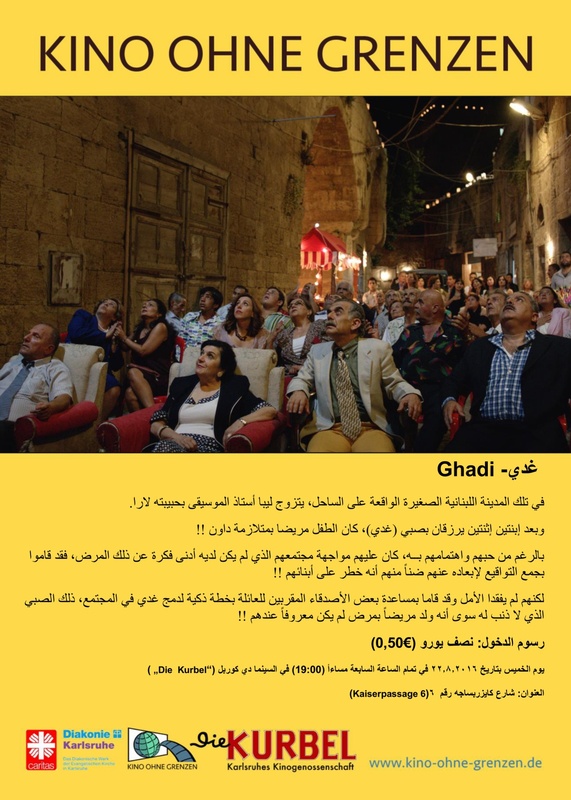 On September 22 our project “Cinema without borders” is entering the next round with the lebanese movie “Ghadi”. In this movie the mentally handicapped main character of the same name tries to captivate an entire town with the aid of his father and some exceptional means to be finally accepted by them. The interaction of all the very quirky characters is giving this play its own unique humour. As usual the showtime will be at 7pm and it will be shown in arabic language with german subtitles. In the halftime some snacks and beverages will be provided again. Rambo est le seul maître à bord de son autobus “TGV” tout bariolé, en conduite sur les pistes entre la capitale sénégalaise Dakar et Conakry en la Guinée. Au moment du départ, Rambo et ses passagers sont avertis que les Bassaris se sont révoltés à la frontière guinéenne. Pas plus qu’une dizaine de passagers décident de tenter l’aventure avec Rambo et son assistant Demba. Parmi eux, un ex-ministre, un couple d’éthnologists européens et un magician de Marabu. A travers des péripéties dangereuses et imprévues, les personnalités de chacun s’affirment et les relations se tissent. Va Rambo réussir à les emmener tous à Conakry? 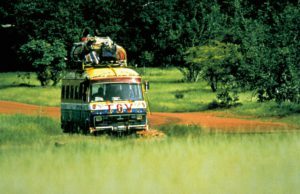 “TGV Express” est une comédie sénégalaise dans le style d’un “Road Trip”. 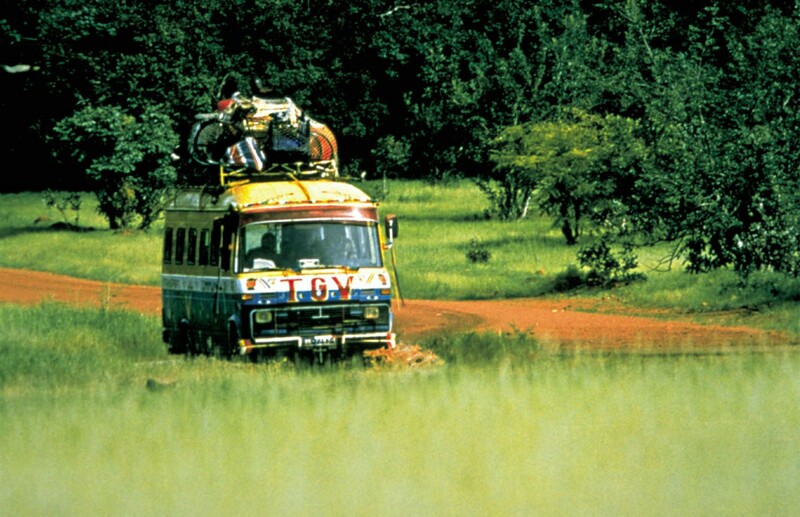 Let’s join Rambo, owner of a run-down, colorful painted overland bus, on his trip from Dakar (Senegal) to Conakry (Guinea). Rambo optimistically calls his bus “TGV-Express” – like the French high-speed train – in order to persuade travelers to go along with him. Yet it takes many adventures for him and his few brave passengers to reach their desired destination…”TGV-Express” is a road movie from Senegal which we will show in French with German subtitles. Last Monday, we had a meeting with Iranians living in Karlsruhe to discuss the Iranian film culture and get more insights into which movies would be interesting for the Community to watch at Cinema without Borders. We had a very interesting evening, talking about Laughing and Crying at the Cinema, Film as propaganda and filmmakers in exile or under surveillance. 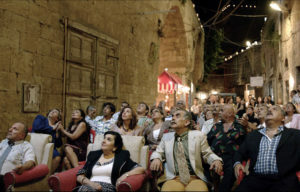 Favourite films of our guests were “Marmulak” (“the lizard”), a satirical comedy about a thief disguised as a mullah, “In the bazaar of sexes”, a documentary on temporary marriage and “Persepolis” (unfortunately, there is no Persian language version of the film since it was produced in France). 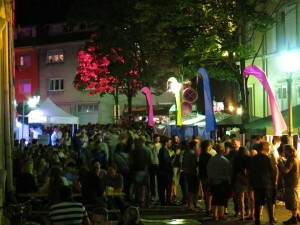 “Our kind of movie” will take place again on Monday, July 11 at 7pm at Kurbel_Zwischenraum next to the cinema “die Kurbel”. Cinema without borders goes European Football Championship 2016! There are soccer fans everywhere in the world so let’s get together, watch some short movies at 8pm and the group match between Poland and Germany at 9pm. Short movies will mostly without language, so everyone can understand them. The game will be commented in German, but should be fun to watch anyway. There is no entrance fee. However, if you are not a refugee, we ask you to contribute 5,-€ which are considered a meal charge and will be applied towards your consumed meals/drinks. Finally! Another cinema without borders movie has been picked for our screening next Thursday. We show this Ghanaian romantic comedy at 7pm. 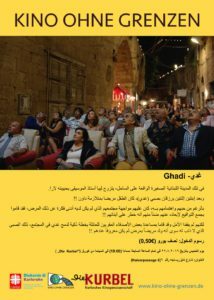 There will be a short film before the screening of “No time to die” and a break to have some snacks, drinks and conversations. Looking forward to meeting you at “die Kurbel”!